Welcome to Dalzells Beds. Order Online, over the phone or visit us in-store today! As a local family business we fully appreciate your custom, as such we will always give you the best deal and unbeatable service in helping to create the perfect nights sleep for you and your family. We will also deliver your Divan Bed, Mattress or Bedroom Furniture for Free throughout N. Ireland and Counties Dublin, Louth and Monaghan in Ireland. 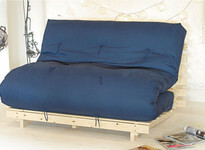 We'll even Collect & Recycle your old Bed or Mattress for Free too! Easily accessible and just a short drive away. Markethill is located on the A28 just 6 miles from Armagh and 11 miles from Newry. By way of the new A1 bypass at Newry this is just 30 minutes from Lisburn, 45 from Belfast and an hour from Dublin. With Free on street parking and an extensive Home Appliance department we are 'Well Worth The Drive' for major purchases. We want happy customers and are always ready to strike a deal with you! 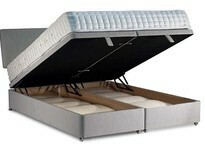 Choosing a Bed or Mattress is an important decision which requires a careful informed decision making. As such we recommend that our you visit us in-store, we love to strike a deal with customers face to face and you'll be able to try before you buy with our extensive display of more than 40 Divan Beds and Mattresses. With a massive range of top name brands you'll be spoiled for choice whether you are looking for an Orthopaedic Bed, Pocket Sprung Bed, Gel Bed, Latex or Memory Foam Mattress. 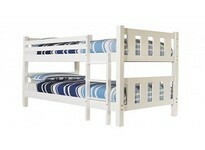 What's more, with more than 500 Beds and Mattresses in stock you won't have to wait weeks on delivery! We also stock a range of superb Bedding Accessories including Pillows, Duvets, Mattress Toppers, Electric Blankets, Pillow and Mattress Protectors from leading names like Dunlopillo, Protect A Bed and Pownall & Hampson. At Dalzell's of Markethill we provide all types of sleep solutions including specialist requirements such as an extensive range of Adjustable Electric Beds, Recliner Chairs and Bespoke Bed & Mattresses tailored to meet your stated requirements and dimensions. Our close relationship with a number of major manufacturers ensure that this service is very reasonably priced! We also unpack and assemble all our Divan Beds and Mattresses in a room of your choice for added convenience and reassurance. Items bought for 'Medical Relief' are exempt from VAT (a 20% saving!) in Northern Ireland and we unlike many retailers are happy to complete the necessary paper work to achieve this for you. Speak to us about this excellent service. We are Northern Ireland's only Sleep Council Accredited Retailer which means we're the shoppers choice for impartial advice on getting the perfect nights sleep. So no matter your knowledge of sleep, or the stresses keeping you awake at night, our highly experienced sales team are on hand to answer your questions and bring about a dreamy sleep. 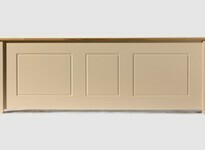 Why not consult our helpful Bed Buyers Guides to help you better understand your individual needs. *Remember our prices include both Free Delivery (this includes setting up a Divan Bed and taking away the packaging) and the Free Collection & Recycling of your old Bed or Mattress. We have a range of excellent Finance Deals from leading lenders including Barclays Finance available in-store to help with the purchase of your new Divan Bed, Mattress or Bedroom Furniture. These Finance Deals provide a flexible and affordable solution to meet your purchasing needs including 12 Months 0% Buy Now Pay Later Deals. For further written information speak to one of our in-store sales team. For more than 50 years we at Dalzell's of Markethill have helped businesses, charities and public organisations across Northern Ireland and the Republic of Ireland to further their ambitions, achieve their goals and perform to the highest standards for their clients. With our huge stock and an impressive range of brands we can react rapidly to your needs and our ability to bulk buy directly from manufacturers at an impressive scale allows us to pass on these significant discounts directly to you. Contact us today to discuss your individual requirements. We appreciate your business. We're dedicated to helping you choose the right bed or mattress for your individual needs which is why we have created an extensive range of online Buyers Guides and Videos to help you on your journey to a better nights sleep. Still have questions? Call, Email or Visit us in-store for a friendly chat about your individual requirements. What's more our helpful online resources also provide excellent advice on improving the quality of your rest and sleep time. Better still why not pick up a helpful leaflet in-store. 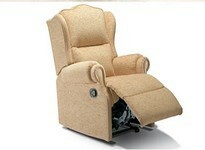 In addition, with our extensive range of brands there really is something for everyone at Dalzells! Choosing a new Bed or Mattress is an especially important decision given that we spend roughly a third of our lives at sleep. As such it's vital that you feel confident in both the retailer and the manufacturer. All Beds & Mattresses at Dalzells are manufactured here in Ireland or in mainland UK and adhere to the stringent standards of the National Bed Federation for added reassurance. 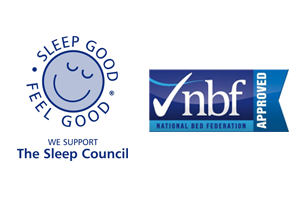 What's more as supporters of the UK Sleep Council our staff are both highly knowledgeable and experienced with more than 50 years of bedding expertise.